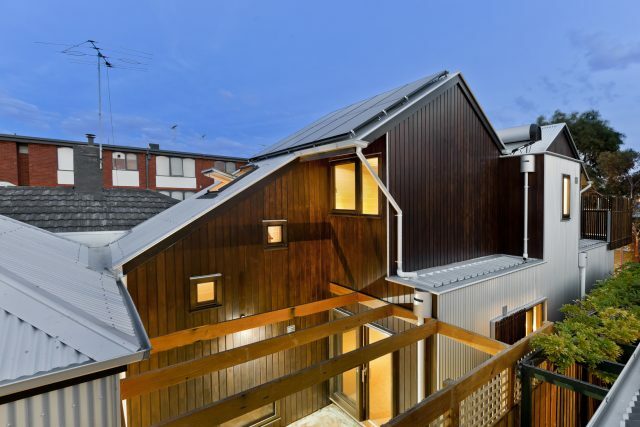 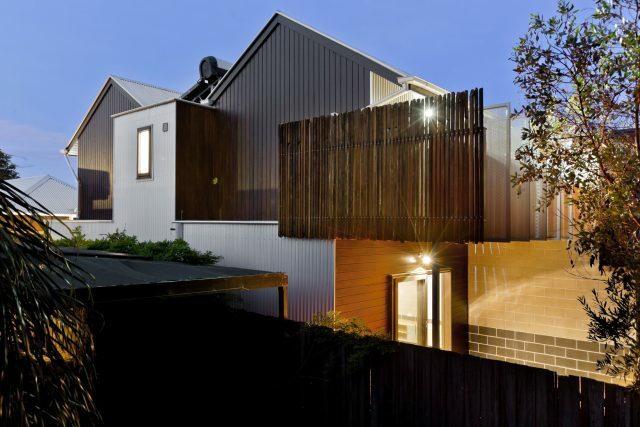 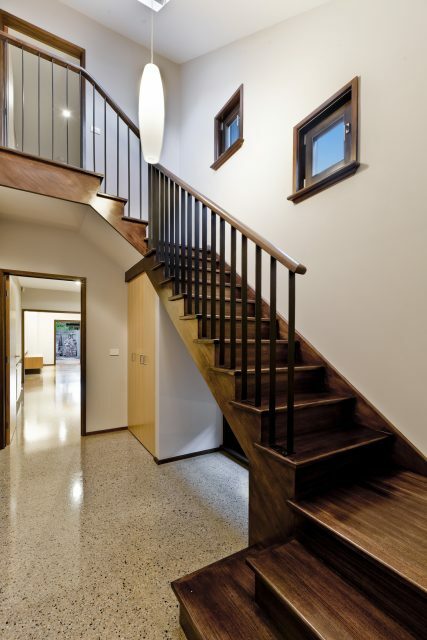 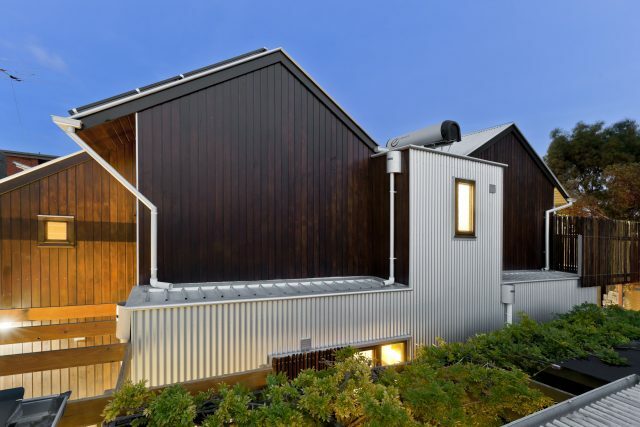 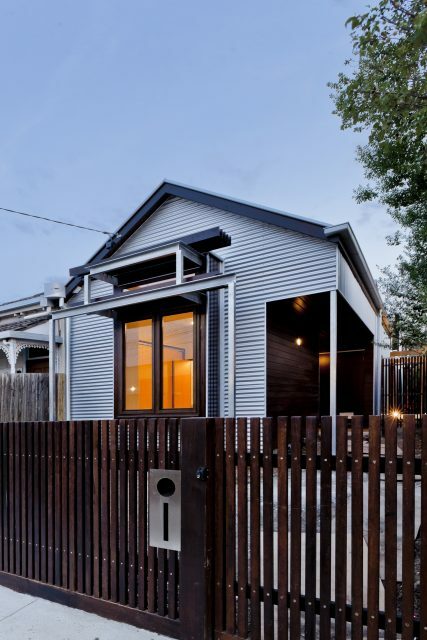 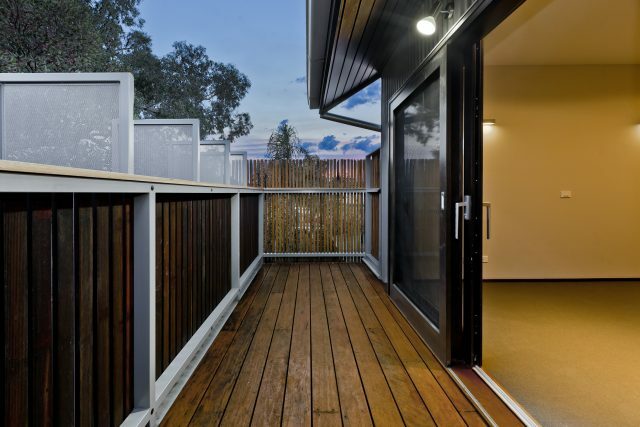 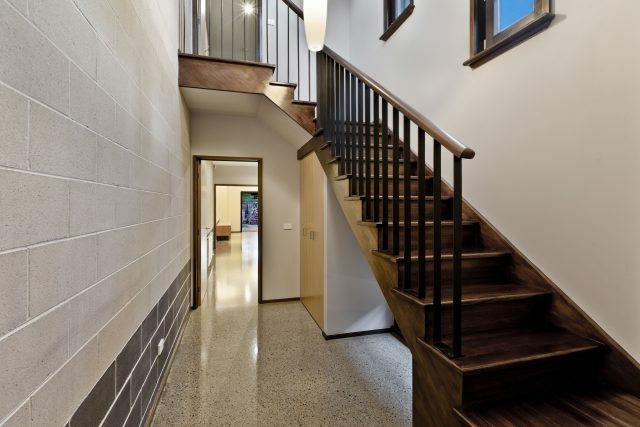 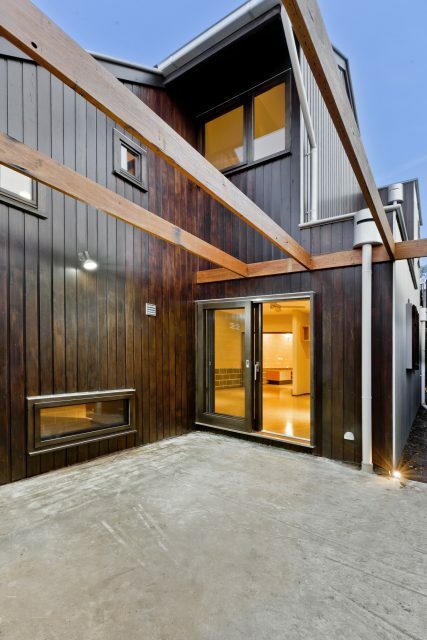 The construction of this new two-storey house has transformed what was once a 1940 home in desperate need of repair.Constructed with recycled, reclaimed and new feature timbers, set against the more modern corrugated zinc sheeting creates a unique eye-catching single-fronted home. 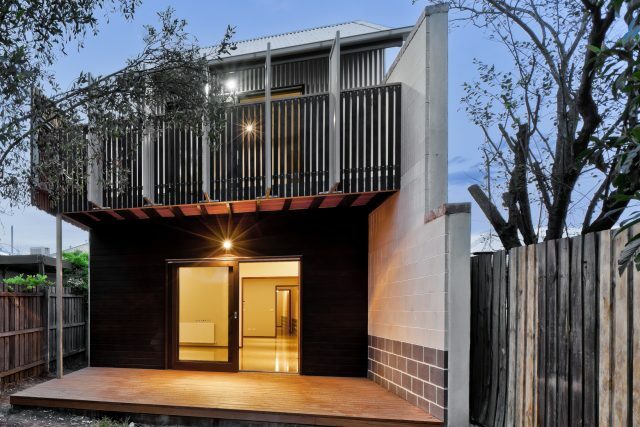 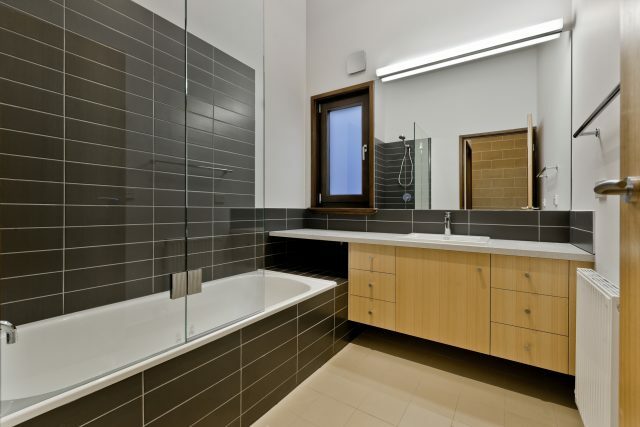 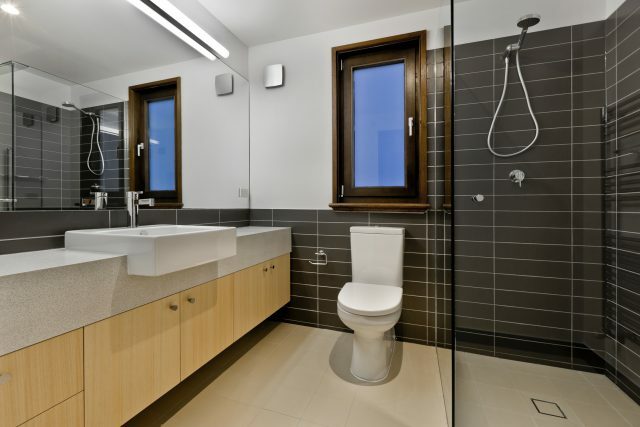 With the many Green Living features that were requested from the client, as well as a number of significant challenges in access and design, a quality boutique builder in Renovation One has delivered a new two-storey house which is both energy efficient and sustainable. 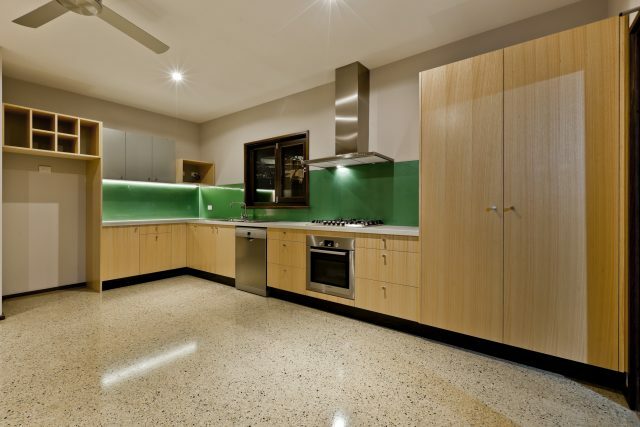 The polished concrete has an insulated slab using Foamular extruded polystyrene, the feature exposed brick wall to the entire 35 meter East boundary adds thermal mass whilst the central courtyard to the kitchen and bedroom 2 captures the afternoon sun with the lower western kitchen window having a movable sliding recycled timber screen. 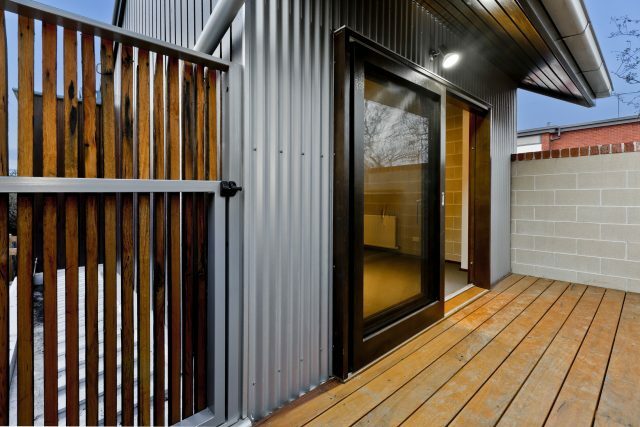 Recycled timbers from Urban Salvage. 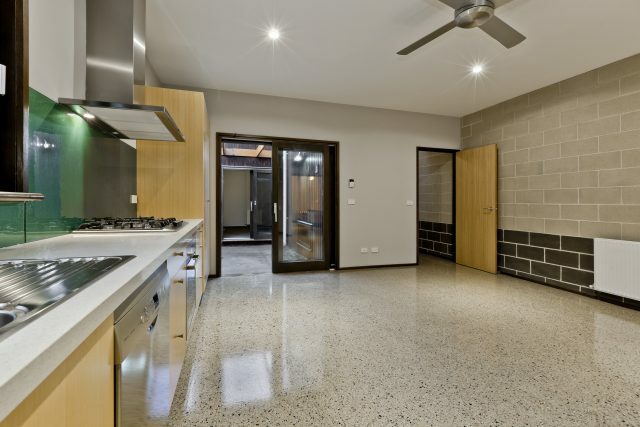 Feature concrete polished by Lumic.